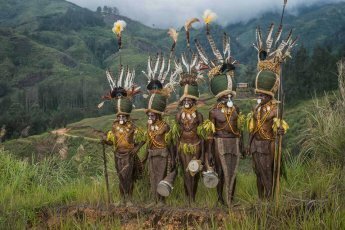 Madang Province, located on the north coast of Papua New Guinea, is made up of several geographically different districts. 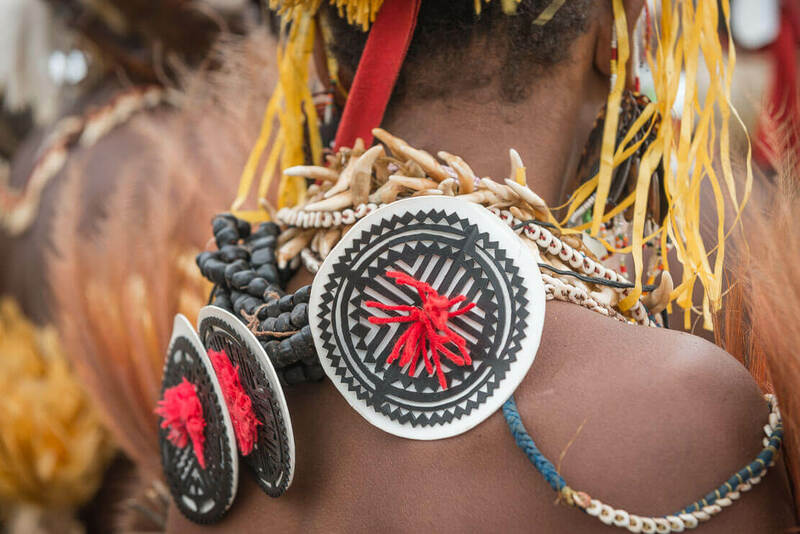 Due to its diverse nature, the province has a very diverse culture and the biggest mix of languages. 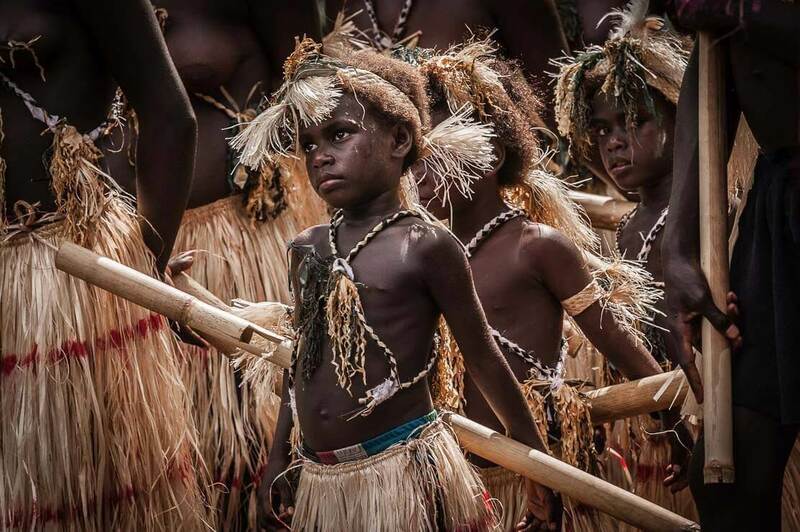 Madang people can be divided into four distinct groups – islanders living in the offshore islets, coastal people inhabiting the central district, river people living on the Wagol river’s upper reaches and mountain people inhabiting the mountain highlands such as people from Simbai, Bundi and the Finisterre Range. 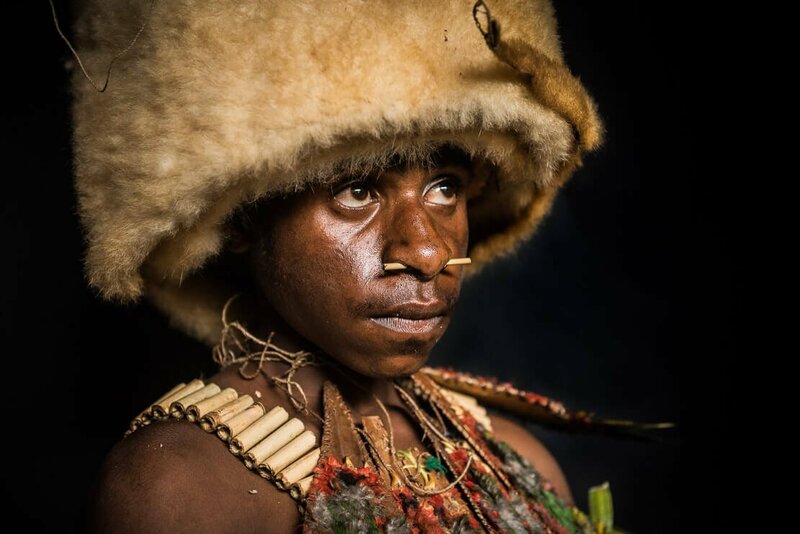 Most of the people are ethnically similar except for the tribes from Simbai, whose average height is unusually short. 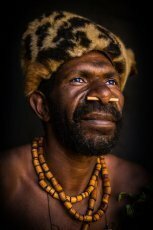 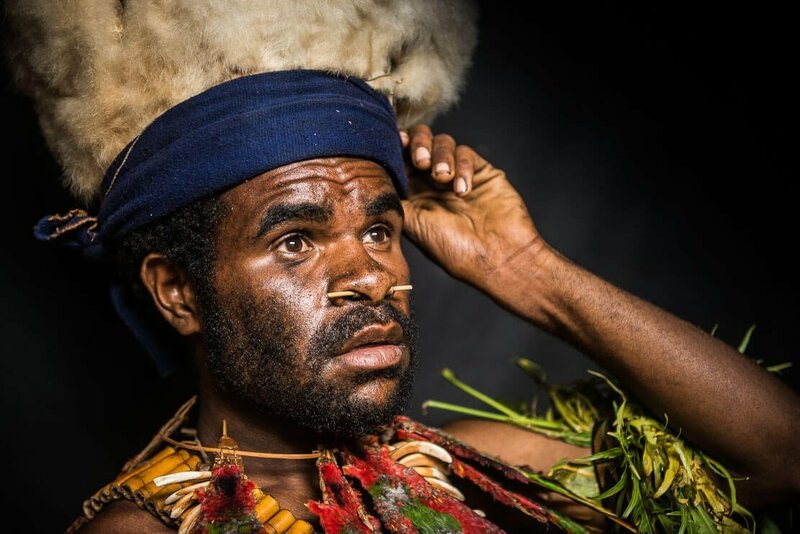 Although belonging to coastal, lowland Madang Province, Simbai is situated high in the mountains, in the heart of the Highlands, and their people have more in common with the Highlanders. Simbai is among the last places in the country to be explored by gold prospectors and Australian patrols. 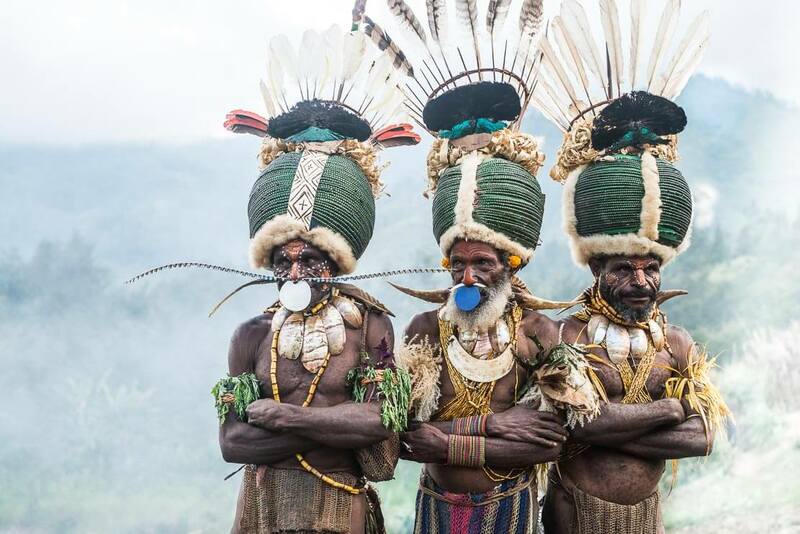 Its regular contacts with the outside world only started in the 1960s. 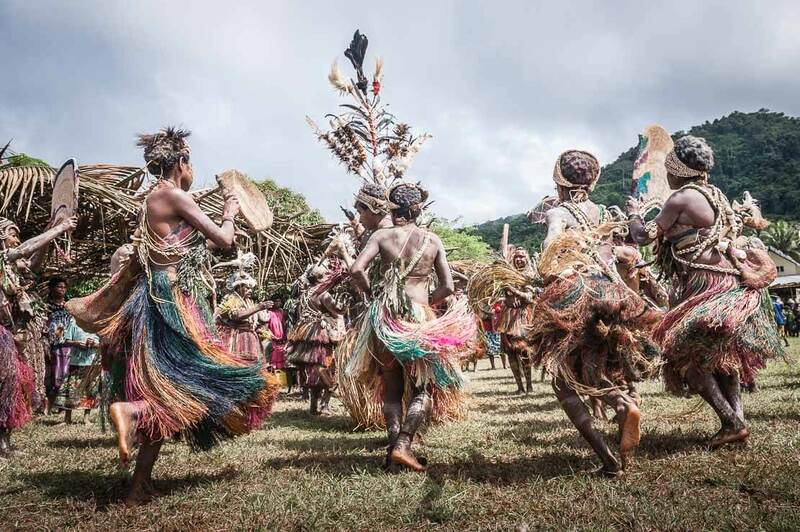 It is one of the country’s remote and isolated places where people still live an authentic lifestyle in traditional village huts made of karuka (leaves of pandanus tree) scattered through the valleys. 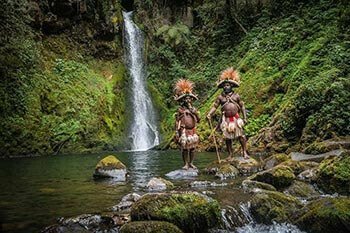 Simbai is only accessible by small, one-engine airplane landing on a grass airstrip or by a very challenging and long hike. 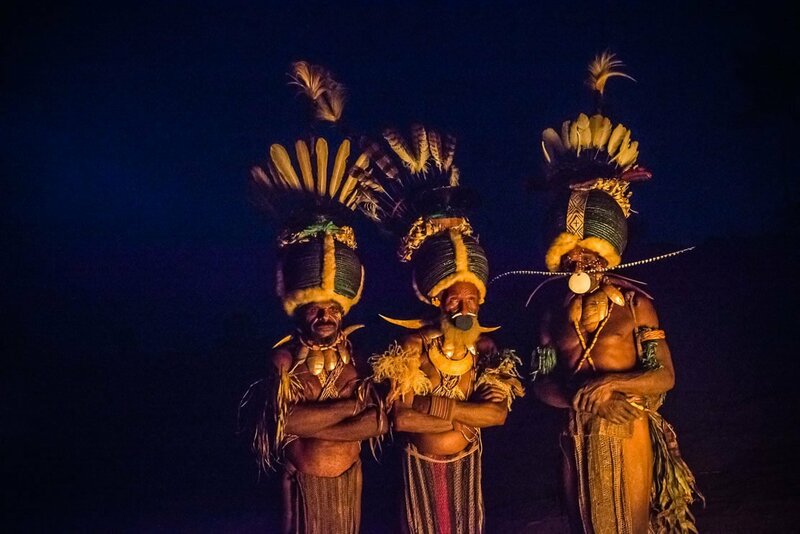 Its remoteness has kept Simbai culture strong and rich, with little influence from the outside world. 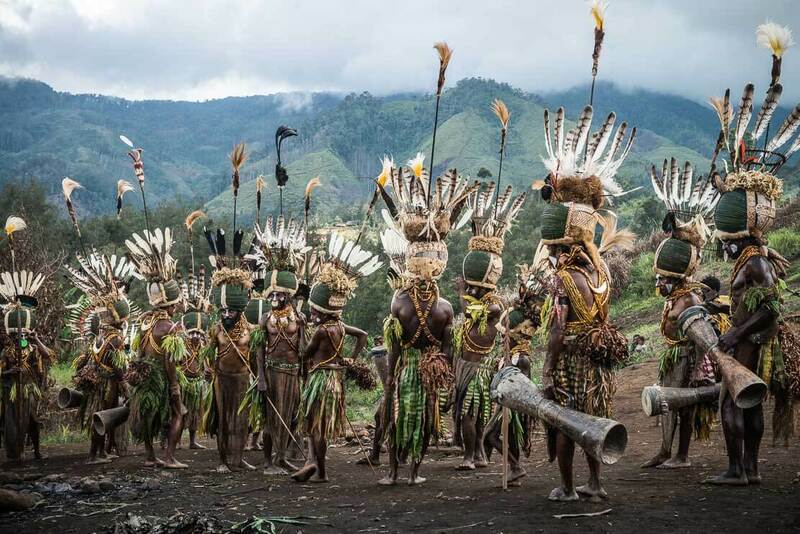 Simbai is the home to the Kalam tribe. 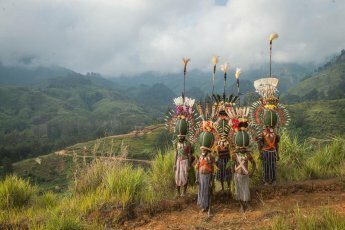 Kalam men are famous for their unique and impressive headdresses, one of the biggest in Papua New Guinea, made from thousands of heads of emerald green beetles, known as “mimor”. 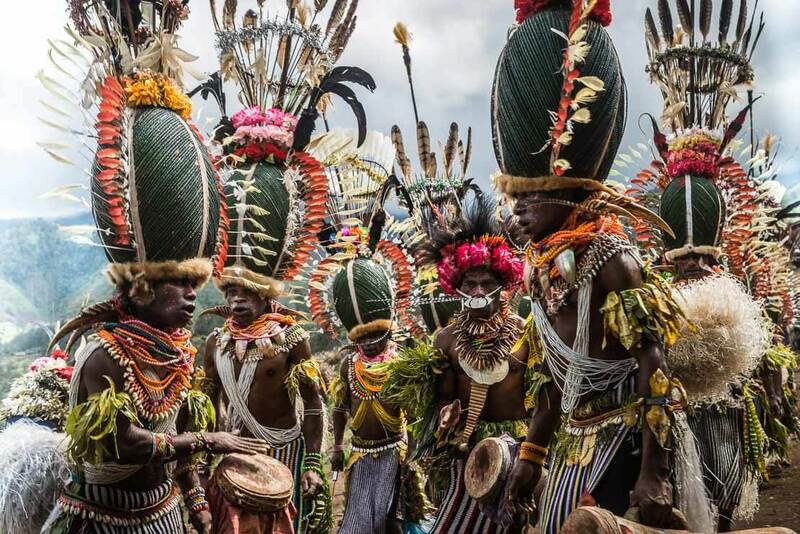 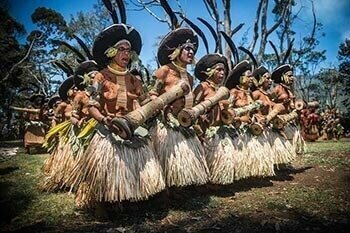 Their huge headdresses can exceed one meter in height. 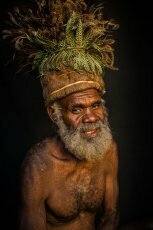 The crowns of the headdresses are decorated with couscous fur or flowers, and feathers of birds of paradise, parrots, cockatoos, and lorikeets. The Kalam men decorate their bodies with special “bilas” (body ornaments) – the necklaces made of the threaded nodes of yellow orchid stalks, large kina shells and beaks of hornbill, locally known as kokomo, traditional loincloth, arse gras, or a bunch of leaves attached to a belt to cover the bottom, sugarcane armbands and small round kina shells and feathers of bird of paradise threaded through their pierced noses. 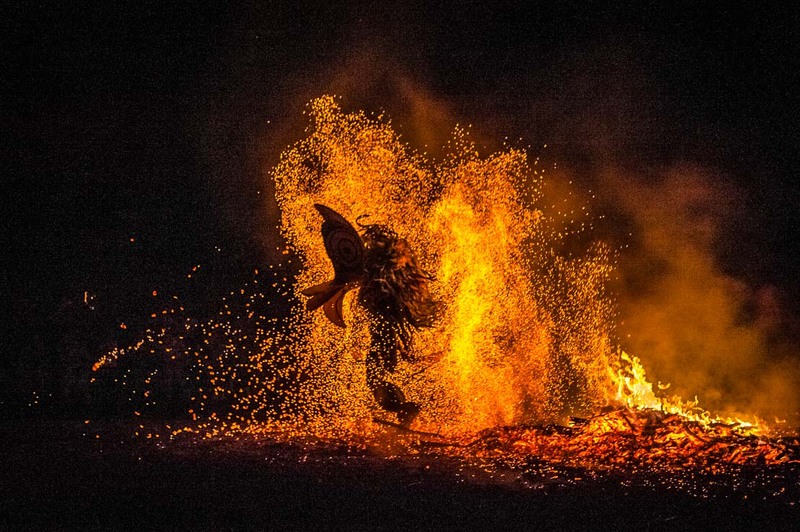 Pig’s fat is used to make the body shine and provide some heat during the cold time of the day. 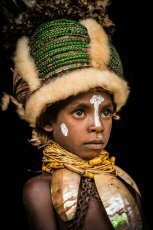 The Kalam culture remains very strong, and young boys’ initiation is still practiced, although more rarely nowadays. 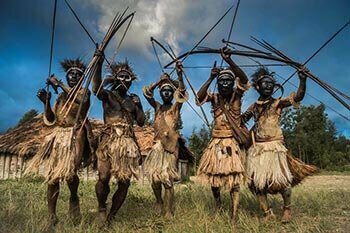 When reached the age of 10-17 years old, the young boys go into a special boy’s house (“hausboi”) to learn about Kalam culture and manhood from the elders and get their noses pierced with bamboo stick or cassowary bone, called “sutim nus” ceremony. 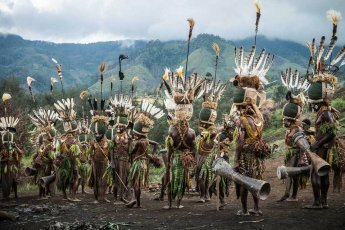 As it requires slaughtering of many pigs, extremely valuable assets for the Kalam people, the male initiation may happen at the more advanced age once the required wealth is amassed. Peterson from Nukunt village, Simbai, Madang Province of Papua New Guinea. 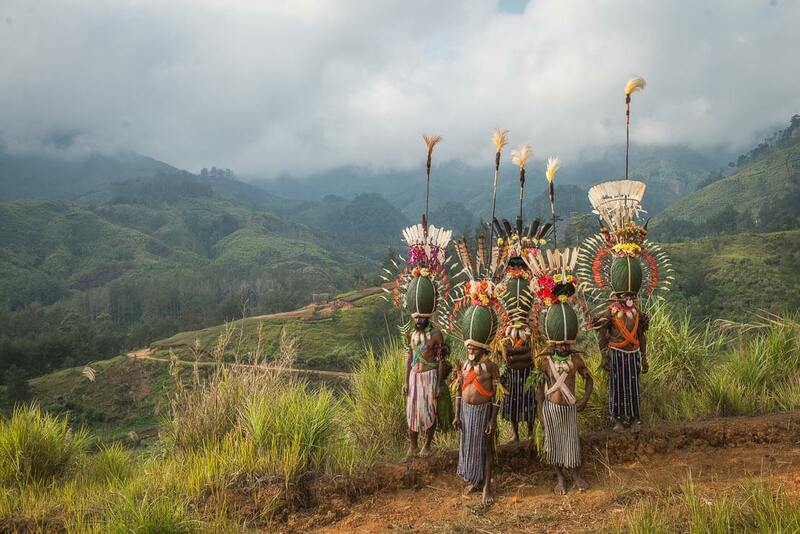 Kalam men are famous their impressive headdresses made from thousands of heads of emerald green beetles. 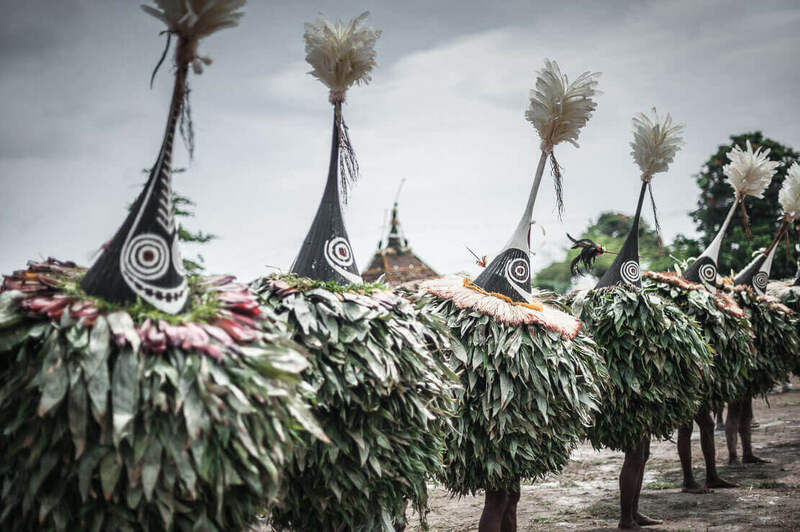 The crowns of the headdresses are decorated with animal skins and feathers of birds of paradise, parrots, cockatoos, and lorikeets. 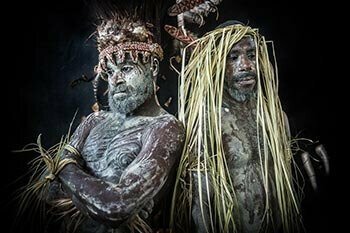 Tribesmen from Nukunt village, Simbai, Madang Province of Papua New Guinea. 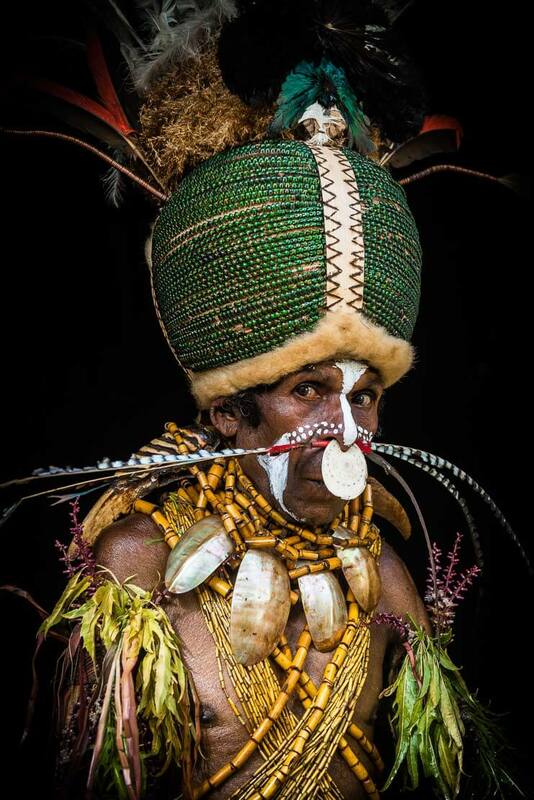 Kalam men are famous for their unique and impressive headdresses, one of the biggest in Papua New Guinea, made from thousands of heads of emerald green beetles, known as “mimor”. 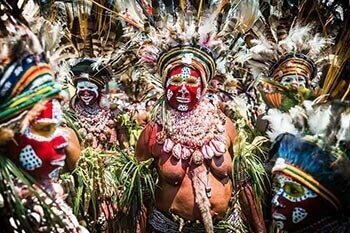 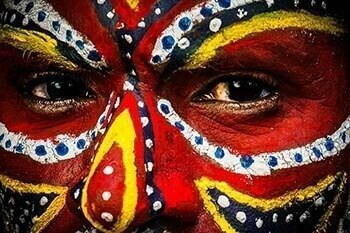 Kalam festival in Simbai, Madang Province of Papua New Guinea. 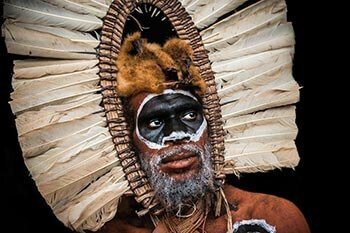 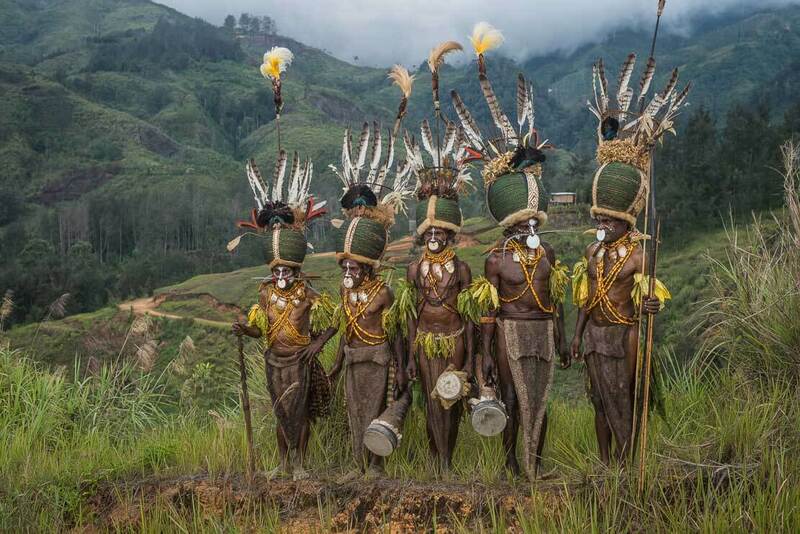 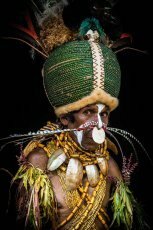 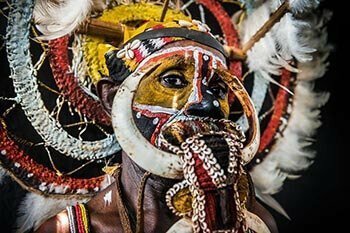 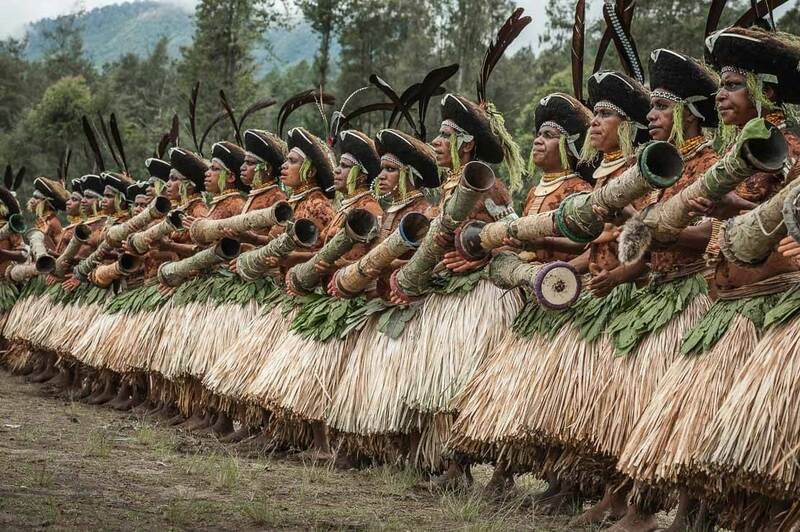 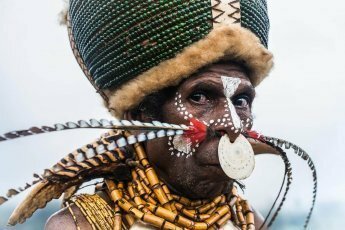 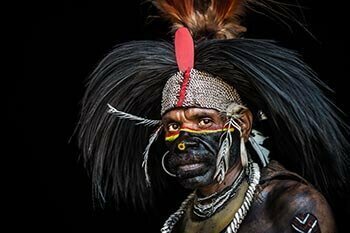 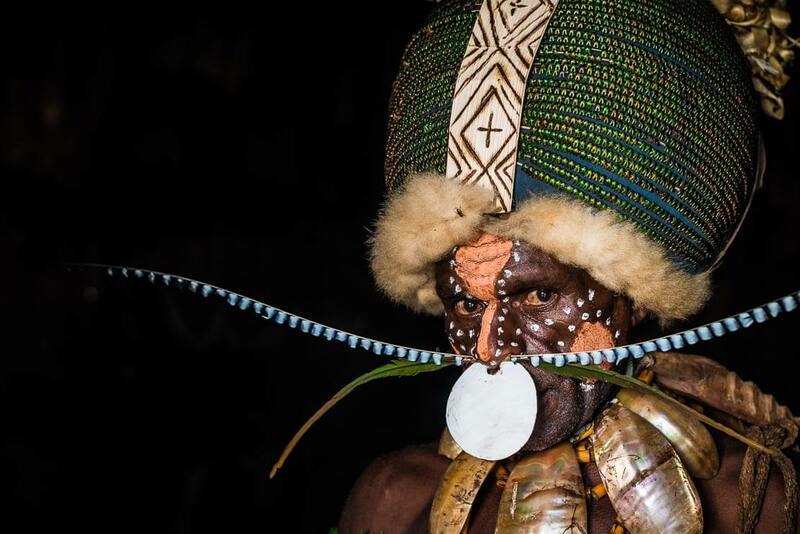 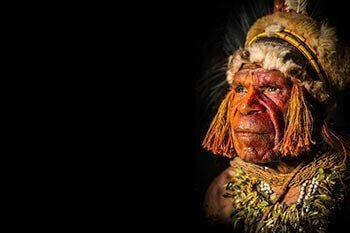 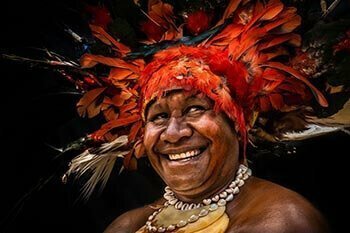 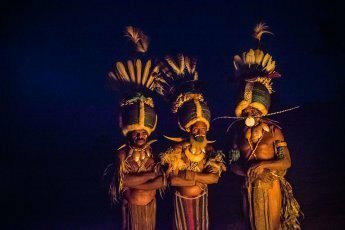 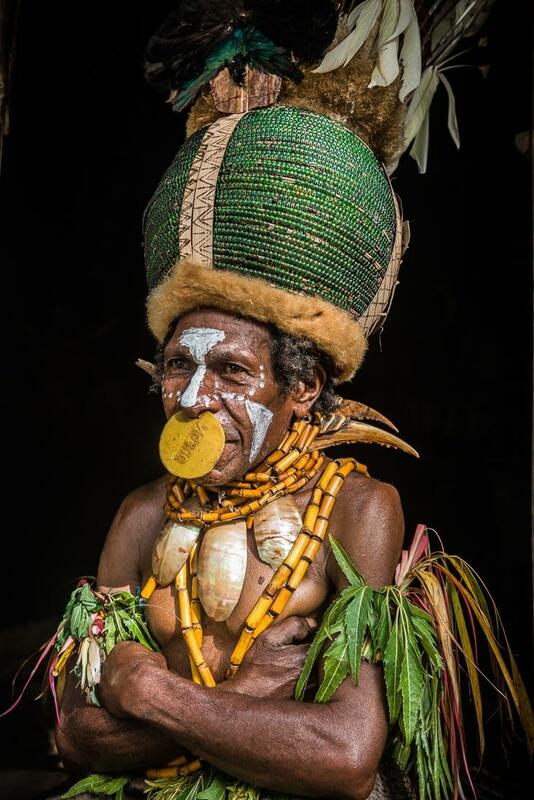 The Kalam men decorate their bodies with special “bilas” (body ornaments) such as kina shells, cuscus fur, flowers, necklaces made from hornbill (kokomo) beaks, a bunch of leaves attached to a belt to cover the bottom (known as a tanket, or arsegras), and sugar cane armbands. 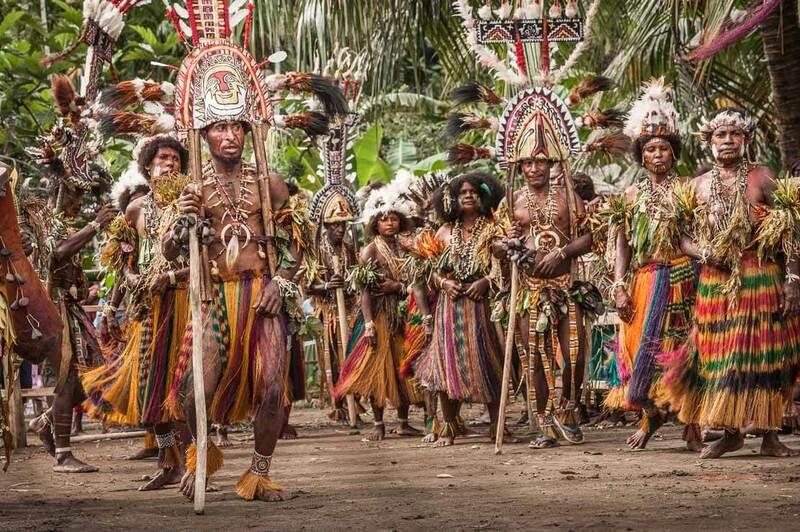 Kalam festival in Simbai, Madang Province of Papua New Guinea. 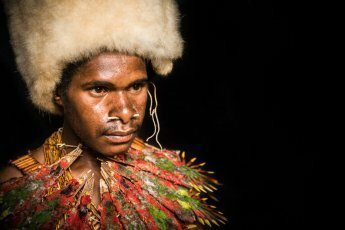 Kalam men are famous for their unique and impressive headdresses, one of the biggest in Papua New Guinea, made from thousands of heads of emerald green beetles, known as “mimor”. Initiated boy from Nukunt village, Simbai, Madang Province of Papua New Guinea. 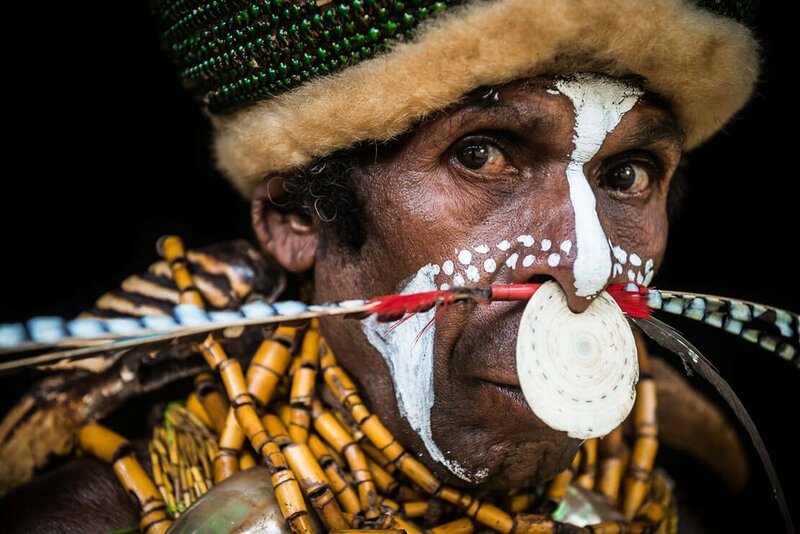 Kalam people initiate the young boys by piercing their nose (“sutim nus”).